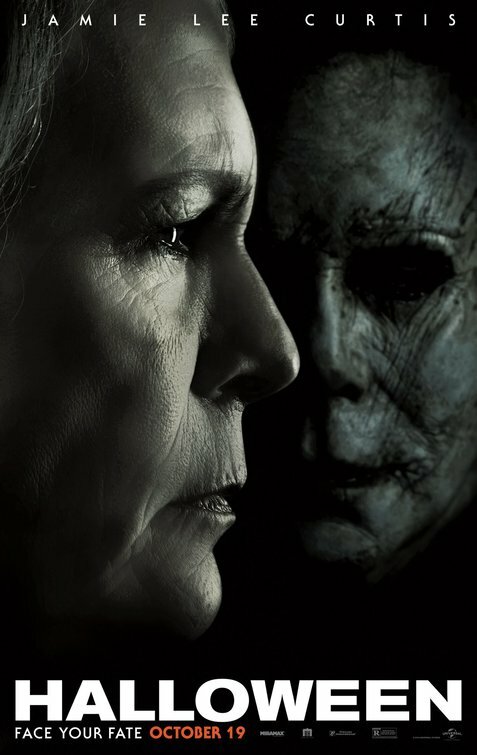 Critical Outcast: Movie Music: Halloween - "The Shape Returns"
Movie Music: Halloween - "The Shape Returns"
Any new take on a classic is usually met with a cacophony of derision. It’s true, most of them do fail to live up to expectations. I also find that many just can’t in no matter what, before they get made people clamor for something new, when that happens they wail for something familiar, or vice versa. In any case, I am trying not to get overly excited for this new Halloween, but I do like what I have seen so far. Now, I can add what I hear to the list, as this first unveiled track for the new film is pretty great. I have been pretty excited for this score since I heard that John Carpenter was going to be composing it. If there is one thing Carpenter is better at than directing, it is composing. His scores are pretty phenomenal, the synth driven simplicity underlies their complete and utter effectiveness. Also, having had the opportunity to see him live just makes me respect his musical abilities that much more. The track is called “The Shape Returns” and I believe it is the new theme. I am not sure saying it is everything I could have hoped or wished for doesn’t sound quite right. Frankly, I am not sure what wanted from it, but I sure like what I hear here. It is updated but doesn’t forget where it came from. It is understated, haunting, and shiver inducing. I cannot wait to hear the rest and I hope the movie delivers.